Read an excerpt from Ethics in Motion - Etika LLC. My name is Justin Paperny. On May 20, 2009, I was released from the federal prison camp in Taft, California. I was 34 years old, a graduate of the University of Southern California, and a former stockbroker who built my career at Merrill Lynch, Bear Stearns, and UBS. As I carried out my two cardboard boxes of belongings through prison doors to meet my mother, Tallie, I understood that a felony conviction would tarnish my résumé forever. What was I going to do with the lessons I learned? My mother greeted me with her arms wide open, tears rolling down her cheek. I had pleaded guilty to a single count of violating securities laws, and as a sanction, I served 400 days in prison. During that year I worked to atone, preparing myself to live as a contributing citizen. I wanted to emerge with insight and perspective that might help expiate the shame and quilt weighing upon my shoulders. Somehow, I wanted to prove worthy of the embrace I was about to receive. While readjusting through my first year after returning to society, I had ample time to continue a process of looking inward and outward. That introspection served as a useful strategy to carry me through the indignities of imprisonment. Although I would never again live in the midst of 500 confined felons, I would always live as a part of a larger community. To ensure that I would never put the privilege of my liberty in jeopardy again—and to work toward redeeming my reputation—I made a commitment to live an ethical life. That commitment necessitated my study of ethics. My motivations were more pragmatic that theoretical. I was not interested in building a new career as a scholar of philosophy, but I learned from the writings of Aristotle, Immanuel Kant, and John Stuart Mill. These writings helped me interpret the motivations that led to my crime. They also helped me put into context what I learned from others whose lapses in ethics led to problems in their careers, their personal lives, and sometimes, their challenges with the criminal justice system. As a prisoner I was surrounded with men who could serve as case studies for courses on the importance of ethical decision-making. Like I had, these men were reared in homes and communities that nurtured and prepared them for leadership. They were educated in America’s best universities and led careers of distinction in law, medicine, finance, politics, and business. I introduce those men in the pages that follow. In sharing what I learned from them, readers will see that neither background nor successes protect against the lasting perils that follow an inattention to ethics. 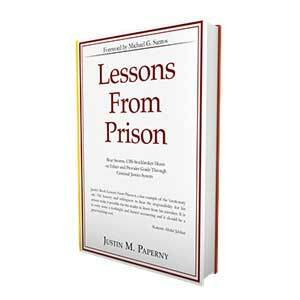 Besides learning from men who sat beside me in federal prison, I drew lessons from contemporary figures who made decisions that have tarnished their standing in society. Like millions of fans around the world, for example, I was saddened in the fall of 2009 when headlines broke about Tiger Woods. Tiger and I were about the same age, yet for years I admired him from afar as an individual of the highest caliber. In Tiger I saw a commitment to personal excellence, a work ethic and discipline that struck me as the perfect example for which all individuals should strive. Success seemed his on every level. Tiger was the indisputable leader of his profession, and corporations from around the globe paid tens of millions to associate their brands to his reputation. The surface glimpses of his life suggested that Tiger enjoyed the loving warmth of a model family, with his striking wife and two adorable children. Mere hours after Tiger confessed to infidelity, however, some of his most public sponsors wanted their association with him to disappear. The New York Times reported Accenture, the worldwide consulting firm, had been using Tiger in 83 percent of the company’s ads. The company’s ad campaign had been about high performance, but with Tiger’s confession to infidelity in his personal life, Accenture no longer recognized Tiger as a metaphor for high performance. Accenture’s ads featuring Tiger—crouching on the green, studying a golf balls trajectory, him peering into the distance through foreboding dark clouds, him high stepping through tall grass beside a caption about the “road to high performance” not always being paved—no longer applied. It wasn’t Tiger’s performance as a golfer that led to the loss of his reputation. Rather, confessions about his personal life revealed flaws that misrepresented him as a pillar of virtue. Accenture spent $50 million in advertising a year to cultivate an image that defined good character, including ideals like honesty, loyalty, trustworthiness, and decency. After Tiger’s confession, executives at Accenture concluded that Tiger’s behavior did not represent such virtues. As I read the seemingly endless coverage of Tiger Woods, I thought about how a man who had been blessed with so much apparent success could make decisions that imperiled an identity others valued so highly. His decisions may not have crossed criminal boundaries, but from them I could draw lessons in ethics, just as I learned from the writings of philosophy, and just as I learned from the high-level professionals who revealed their stories to me in prison. Our society reveres professional athletes like Tiger Woods, but I’m convinced that we should look beyond the celebrity arena to find those role models who embody the principles of an ethical life. Those who give themselves generously to the making of a better society, perhaps surprisingly, are those who give without concern for spotlights on their own stardom. I’m talking about people who work to shape good character, like teachers and coaches. I knew many such community builders as I was growing from childhood, through adolescence, and into my early adulthood. As a youngster baseball defined me. From my first little league coach, Jack Gilardi, I learned about discipline, good sportsmanship, and leadership. As a coach, his only concern was in helping each of us on the team reach our highest potential. The virtues coach Gilardi and others encouraged became an integral part of my life through my continuing participation on baseball teams at Montclair Prep and at USC, where the value of teamwork was instilled in every player. Yet as has been the unfortunate case with so many others, those values and characteristics of good citizenship became less important with graduation from academia and advancement into the professional world. Icons from my beloved sport of baseball, as another example, have rocked the sports world with admissions that they were not worthy of admiration as role models. I grew up inspired by athletes like Mark McGuire, a player who smashed homeruns out of ballparks season after season, breaking records that others said couldn’t be broken. Yet in early 2010, I shook my head sadly while watching him offer a tearful apology to baseball fans for this lying and cheating. Mark McGuire enjoyed the glory of being an outstanding athlete from his first little league at bat, when he homered to loud applause. His hitting skill and mastery of the game accelerated with every season, as numerous awards evidenced. As happened with me, however, at some point Mark McGuire’s core values deteriorated. His apology for breaking rules, and then lying to cover up his dishonesty, brought painful reminders of my own character weaknesses; in my case those weaknesses resulted in an ethical slide that eventually crossed the line into criminality. The reminder prompted questions about the role that societal leaders have in conveying the importance of ethical values. How do we pass along the importance of ethical values to generations of future leaders? When I was a university student, professors would require dense reading in ethical theories, but arrogance convinced me that I wouldn’t have anything to learn from theoretical perspectives. Time and experience convinced me that I should have given more attention to the lessons presented. After watching two of my heroes from sports fall because of a disregard for ethical decision making, and after all I learned during my year in federal prison I decided to take another look at what those philosophers wrote about and consider again what my university professors had hoped I would learn. In reading Immanuel Kant again, I was reminded of his much acclaimed categorical imperative. Essentially, I understood Kant’s philosophy on ethics as indicating a moral code existed, and each of us as fellow human beings had a duty to act in accordance with that morality. I must have been bored or too lacking in focus to grasp Kant’s brilliance, because his message that the moral code required us to refrain from lying, cheating, or stealing didn’t strike me being particularly profound or illuminating. I knew it all. It may have been the heavy, scholarly language of Kant that blocked me from receiving his message during my younger years. While in college, I didn’t consider the possibility that circumstances would ever change to the point that I could engage in such acts. In my mind, the possibility didn’t exist that I would face dilemmas or temptations that would change the core of who I was as a man. Having grown up in Encino, an affluent suburb of Los Angeles, no one was going to categorize me as being “at-risk,” and of course I didn’t see myself as being without privileges. With my expectations that I had a rightful place in society, Kant’s lessons on the moral imperative didn’t seem to tell me anything I didn’t already know—at least that’s one reason I may have tuned out when I was in college. I understood the difference between right and wrong, but knowledge alone was insufficient—in my case—to appreciate the value of ethical training. Another philosopher my professors introduced me to was John Stuart Mill, a father of utilitarianism. As I understood his theory, people could calculate an ethical value by measuring what gave the greatest good to the greatest number. I found it even easier to tune out the theory of utilitarianism. The greatest good for the greatest number? Come on! I understood enough about right and wrong, I thought, that I wouldn’t need to waste time rationalizing my decision making with such esoteric concepts. The philosopher who made the most sense to me with regard to teaching ethics was Aristotle. He did not encourage the thinking about moral codes or calculating what was good for the most people, but instead reduced the ethical lesson to the individual, making it easier to grasp. Aristotle famously said that the unexamined life was not worth living, suggested that what really counted was the cultivation of good character. An individual had to look within, and in so doing, commit daily to cultivating virtues that included honesty, loyalty, sincerity, integrity, and so forth. In so doing, the good life would follow. What was good for the individual was good for the community. When I left USC, I thought I understood Aristotle’s lesson as well as I understood how to breathe. A version of this philosophy had been ingrained in me since childhood by all of my teachers and coaches and other role models. Later, however, when I left the university and moved into the professional world, challenges or dilemmas began to present themselves that would test my true understanding of Aristotle’s message. And in those tests, I was found wanting. Whereas I didn’t need to think about breathing, I seemed to have forgotten Aristotle’s formula. Namely, living an ethical life required continuous cultivation and nurturing of virtues; it also required a commitment to personal excellence. I read an amusing quote attributed to Oscar Wilde that highlighted the need for individuals to hone virtues. Wilde said that he “could resist anything except temptation.” So how does a man resist temptation? The Bible taught that temptation was as old as man, first revealed in the book of Genesis, with Eve’s bite of the apple. Temptation, I suspect, led Tiger Woods to betray his family, and temptation urged Mark McGuire to cheat in pursuit of greatness. In my case, temptation was the root cause of my breaking the law. A continuous honing of virtues would have made us less susceptible to temptation. I may not personally know Tiger Woods or Mark McGuire, but I suspect that I shared at least one thing in common with both men. Each of us believed we understood “the moral code” that Kant wrote about. We also understood that neither lying nor cheating nor stealing were actions consistent with what would lead to the greatest good for the greatest number. What we didn’t appreciate, however, was Aristotle’s admonition that living “the good life” required a continuous cultivation of virtues and that cultivation would lead to good character. Knowing right from wrong alone didn’t endow us with the strength to confront all challenges, dilemmas, or temptations that we faced in life. Only the cultivation of a personal ethical code could provide such strength. Like an athlete or performing artist must never relent with practice, the individual who aspired to excellence had to introspect, continuously questioning his level of commitment to developing the virtues of good character. I understood that principle in sports. As a young athlete I practiced my sport every day. I had an inherent understanding that to improve my skills as a ballplayer, I needed constant conditioning, individually through fitness training and diet, and by joining the team for regular drills on fundamentals of the game. It wasn’t that we were learning anything new about baseball, but we all understood that practice would make us better. Advancing in the professional arena was different. I presented my academic credentials, then I sat for licensing examinations that would certify my competence as a financial professional. Yet once my career began, my values changed, with the need for personal development going to the wayside. Instead, a short-sighted craving for personal advancement motivated me, and earnings rather than excellence became my measuring rod for success. My career as a stockbroker at Merrill Lynch, Bear Stearns, and UBS introduced me to the Hobbesian theory of every man being out for himself. Each of those storied Wall Street firms kept stacks of rarely used binders stuffed with laminated pages complete with platitudes in big bold fonts that highlighted the firm’s commitment to the highest ethical standards. In practice and in corporate culture, the message differed. It felt more like an atmosphere from the Chicago school of economics where Milton Friedman taught, with the only responsibility of business being to make money. I misunderstood Friedman’s lessons on supply-side economics, and what I misunderstood contributed to an incremental abandonment of social responsibility; that abandonment brought my demise. Within a few years of mentorship under brokers who instructed me on prospering as a stockbroker, the lessons Coach Gilardi began instilling in me when I was a little leaguer began to fade. In the place of honesty, trustworthiness, and integrity, I developed avarice, ambition, and selfishness. My new mentors, men who worked alongside me as stockbrokers taught me how to churn accounts and select investments that would enhance commissions instead of client returns. I was a “pleaser,” going along with the fellas and the culture of fast money. Those abuses of discretion began my incremental slide to ethical indifference. In time, that indifference led to a willful disregard of clear evidence that should have prompted me to notify superiors and law enforcement authorities about a potential fraud. Instead, I looked the other way so as not to interrupt the steady flow of six-figure commissions. The fraud that led to my conviction for violating a provision of securities law concerned my oversight of a hedge fund. The manager who ran the hedge fund had lost millions of dollars in investor funds through inappropriate speculations. I had reason to suspect wrongdoing, or that something was awry with the hedge fund because it continued to attract new deposits despite a steady record of losses. My willful ignorance was bad enough, but self-preservation later set in. Despite my suspicions of fraud, I encouraged the trading to continue. Instead of using my discretion as a force for good, to protect investor assets, I schemed with my colleagues and superiors at UBS to protect us from potential liability. Later, an investor in the hedge fund confronted me with questions, and in so doing, the investor presented brokerage account statements that I could tell at a glance were forgeries. Instead of exposing what I then knew to be a crime, I ignored the clear evidence of fraud by the hedge fund manager. Had I cultivated a stronger ethical core, embraced individual responsibility, developed a sense of integrity, I would have had the courage to act appropriately. I’m ashamed to admit that after only five years into my career, I had abandoned anything but lip service to the cultivation and development of a strong ethical center. As such, I remained silent to the fraud, thereby making me a part of the crime and ultimately leading to my disgrace; imprisonment soon followed. In struggling with my troubled conscience, reflecting on how my sense of morals deteriorated, and recognizing the vulnerabilities other citizens had to this same fate, I contemplated whether anyone could teach courses that would instill morality. I came to the conclusion that teaching could never be enough. Like most college students, I had studied the requisite courses. Certainly, I understood the difference between right and wrong. What I needed was the courage to make the right decisions, and to derive a sense of personal fulfillment—or identity—from my strong ethical commitments. More than being taught, that courage to act—courage that came from a strong ethical core—needed to be honed, practiced, and constantly cultivated. When businesses produce binders of ethical policies, they strike me as adhering to a version of the Kantian “moral imperative,” presenting a code of behavior that employees should follow. The problem that existed at Merrill Lynch, Bear Stearns, and UBS, were that the culture trumped the code. 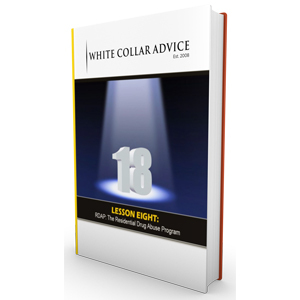 From my experience as a financial professional, and from what I learned through the stories of white-collar offenders I’ve heard in federal prison, I’ve become convinced that rather than publishing moral codes (that few employees follow), businesses could serve employees, their communities, and their shareholders better by encouraging individuals to develop their personal virtues and integrity. Such investments would do far more to enhance corporate policy than clichés. I had such encouragements while being raised in the family home. Those were the kinds of moral exercises that ceased to become a part of my life when I joined the professional world of money management. Instead of working to build a stronger community, I focused exclusively on earning higher commissions. Since the higher commissions I earned simultaneously meant higher profits (in the short term) for my employers, the businesses that employed me were silent as to the patterns of the deceit being sewn to generate those results. My consideration of the corporate cultures that groomed me piqued a curiosity on whether there might be better ways to foster an ethical environment. That curiosity led me to the writings of Professor Herant Katchadourian, of Stanford University, who wrote about concepts of shame and guilt. Dr. Katchadourian’s work contrasted aspects of our Western Culture—where we valued individualism—with Eastern cultures that placed more emphasis on community. In our focus to advance personally, those of us in the West could come to feel less empathy or responsibility for others—especially when we failed to cultivate a strong ethical core. In the West, we looked out for ourselves and we expected others to do the same. Asian Cultures, I learned from reading Dr. Katchadourian’s writing was based on a different premise. Instead of the individual, the Asian cultures focused on ensuring harmony in relationships, on keeping the integrity of the whole. Because they focused on preserving the community, the motivations and incentives were for groups to grow, succeed, and prosper; instead of codes that instructed individuals on avoiding wrong behaviors, the Asian cultures placed more emphasis on doing what was right over the long term for the group. People, then, created their identities by how well they fit into the group, whether it was the family, the business community, or society. Since Aristotle was from Greece, I always thought of him as a Western Philosopher. In reading about Aristotle’s recipe for building greater communities, however, I recognized the same wisdom that Asian cultures embraced. Namely, by cultivating character in the individual—encouraging every member of the group to develop the highest sense of personal integrity—great and lasting relationships followed. Those teachings from both East and West instructed that building greatness in any relationship required continuous personal investment. Prohibitive rules or principles—such as those in the “ethics binders” that many corporations published—would not foster ethical environments, or communities, as well as individual commitments to practice and cultivate a strong ethical center. Developing a strong ethical core wasn’t like developing the competence to pass a history examination. Developing ethics required more than reading books or memorizing facts. Knowing right from wrong would never be enough. In my case, I knew it was wrong to allow a hedge fund manager to deceive his investors. Tiger Woods knew it was wrong to betray his commitment to his family. Mark McGuire knew it was wrong to break rules and to lie about his actions. We knew right from wrong. The roots of our failure were not knowledge of right and wrong, but in not recognizing that building strong ethical centers required constant practice, attention, and personal investment to cultivate character. This recipe of focusing on individual responsibility applied to building great marriages; rearing successful families; leading successful, fulfilling careers; building strong societies; and to experiencing happiness. My coaches understood that principle. From my years in little league through my time at USC, my baseball coaches emphasized the importance of practice. I could read all the books in the world about how to stop a grounder or how to swing a bat, but becoming the best ballplayer possible required practice, day after day, season after season. The day I stopped practicing was the day my hand-eye coordination and skills would begin to deteriorate. Without that hand-eye coordination and skills, my ability to play the game suffered. In that way, ethical training is like athletic training. A person could train hard one season, but the day he stopped would be the day his fitness and strength would atrophy. The great athlete in college could easily put on weight and fall into patterns of laziness if he stopped training. I know. Similarly, the person who practiced honesty, loyalty, and sincerity through their early years (and who thinks those virtues would always be with him), could deteriorate into a dishonest financial professional, an unfaithful husband, and a rule-breaking liar. When we cease to cultivate a strong ethical center, each of us becomes vulnerable to the baseness we detest and rightfully attribute to an inferior character. Without character, we lesson our abilities to use discretion appropriately, to make good judgments, to build great relationships and communities. Countless books interpret the teachings of the world’s great philosophers and ethicists. In my quest to overcome the character flaws that led to my disgrace and imprisonment, I’ve read a fair share of those books. Besides learning that an inattention to ethics leads to an inferior character. I also learned that through renewed attention to the subject, individuals could take steps to improve. Just like the out-of-shape individual could exercise his way back toward improved physical fitness, a person who once made bad decisions could introspect, look inward and outward to begin cultivating the traits that in time would restore good character. As individuals need regular exercise to maintain physical fitness levels, individuals need exercise to nurture good-character attributes. In thinking about how I could help an individual nurture good character attributes, I thought about what would have helped me. More lessons on philosophical theories may have cured insomnia, but I don’t think more lectures on rules, codes, or right and wrong would have held my interest—especially since I worked in a culture that would wink at violations of such rules and codes so long as profits and commissions flowed. More pragmatic lessons, on the other hand, could have inspired me to cultivate the good character necessary to make ethical decisions. If I understand that every individual—even those who came from privilege—was vulnerable to disastrous consequences that frequently followed judgments make from an inferior character, I’d like to think that I could have done better, that I would have understood more about my need to cultivate character. As Professor Jana Kraft from St. Mary’s University taught, I could train to make values-based decisions. One way of furthering such training was through exposure to stories from contemporary society that described people from my social, educational, and economic background. Had I learned about consequences that followed the ethical slide of others, I would have been more alert of the need to guard my commitment to an ethical code vigilantly. Such an investment would have made me a better person, a better employee, a better citizen. I cannot undo the bad decisions I made in my early 20’s, when the beginning of my career initiated an ethical slide. All I can do now is work to become better. That effort begins with my daily commitment to personal responsibility and the cultivation of good character. This ongoing exercise requires that I look inward and outward. Pursuing a course that will instill the virtues of honesty, loyalty, sincerity, temperance, integrity, and other virtues that will contribute to making me a better man so I can contribute to the making of a better community and a better overall society.